Robert Lewandowski played his 250th Bundesliga game on Matchday 24, but the Bayern Munich striker missed out on another milestone shared by his coach Jupp Heynckes and the legendary Gerd Müller. If Bayern's prolific striker had found the net in the 0-0 draw with Hertha Berlin, it would have been the 12th successive league match at the Allianz Arena in which he had scored, giving him sole ownership of the Bundesliga record he shares with Heynckes and Müller. Although he drew a blank in the goalless draw, his prodigious 171 league strikes since he joined Borussia Dortmund in 2010 is a total which has pushed him into the Bundesliga's top ten all-time leading scorers. 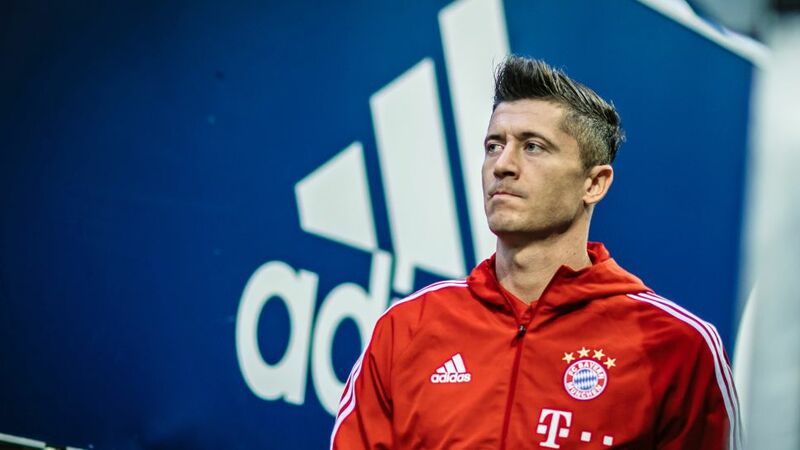 Only the peerless Müller has scored more goals (216) in his first 250 Bundesliga matches, though Lewandowski can boast to be the more clinical of the pair, needing 99 minutes on the pitch per goal compared to Der Bomber's 105. With just seven more strikes, he will overhaul Klaus Allofs and Dieter Müller on the all-time list. His next targets after that will be Stefan Kuntz (179) and sixth-placed Ulf Kirsten (182). While Gerd Müller's record tally of 365 will likely never be beaten, Heynckes might not be sitting quite so comfortably. The Bayern boss was a formidable goalgetter for Borussia Mönchengladbach in the 1970s, and his mark of 220 — that puts him third on the all-time list — is surely within his star forward's reach. Cologne forward Claudio Pizarro, currently the German top-flight's all-time foreign-born leading scorer and fifth all-time overall, will also surely see his haul of goals — currently 192 — beaten, because while the Peruvian is 39, Lewandowski still has a number of seasons ahead of him. Watch: Can Lewy handle 60 seconds under pressure? Of course he can! The Poland international only turns 30 in August, and has averaged 31 league games per season he has played in Germany, a testament to his dedication to his physical condition. With his contract with the record German champions running until 2021, Lewandowski has plenty of time to set more Bayern and Bundesliga records yet.